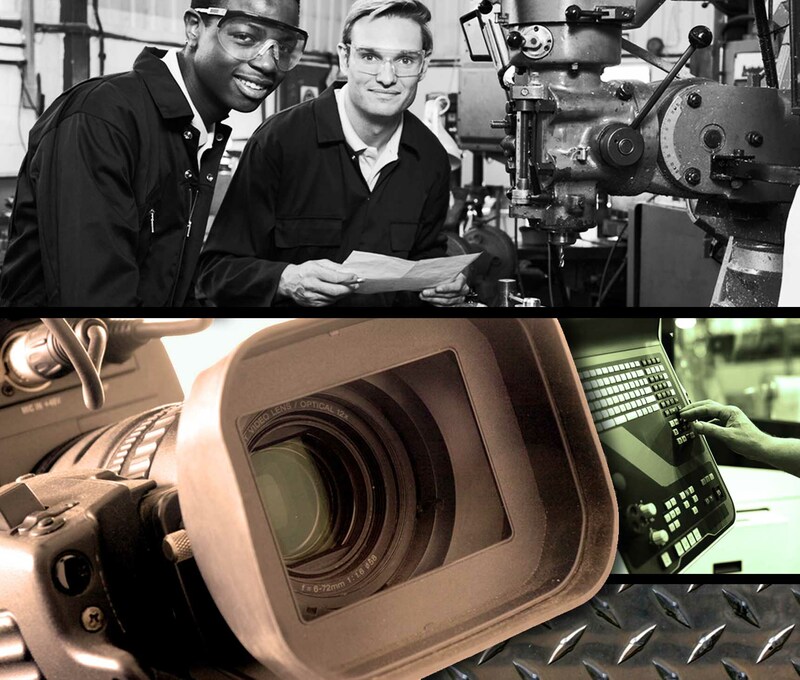 Manufacturing’s next high-tech tool: the video camera Manufacturing’s next high-tech tool: the video camera - HGR Inc.
Today’s manufacturing operations are innovative masterpieces. Engineers and machinists are working together to make manufacturing shops clean, well-lighted environments brimming with advances in modern tooling and design. These advances include CNC machining technology, 3D printing, computer-assisted design, and the video camera. The VIDEO CAMERA? If you have staff, you have a need for training and continuous improvement. That training is likely best handled through “hands-on” instruction. When such instruction is not possible for reasons such as limited availability of training staff, an effective alternative is video-based training. Video-based training can be used as a self-serve resource that can be shared online, through a company’s intranet or even through DVDs. Such a resource can be used for primary training or when workers need a refresher on a process. As impressive and as cool as your manufacturing operation is, who knows about it outside of your company? A brief customer-facing video highlighting how your innovations make for a better product may serve as a big advantage over competitors! When customers visit your website, reward them with a peek into the innovations you have put in place to benefit them. From machine safety to fire and alarm safety, there are crucial messages that must be communicated to every worker in the shop or office. Creating a safety video can be an easy and effective way to educate staff on proper procedures related to their well-being. Videos of this type can be used when on-boarding new workers or when new policies are developed. Such videos also can help support state and federal government safety regulations. If your organization is interested in communicating through video, I encourage you to touch base with a professional for initial guidance on leveraging this powerful resource. With a video camera, editing equipment, and knowledge, video communications may become the most versatile tool in your operation next to that automated 5-axis mill. Windom Ratchford is available for video production and consultation services at (440) 789-5400 or Windom@CreativeGoldMedia.com.